It’s such an honor for me to work with employers, educators and students across Ventura County to help build the region’s workforce. 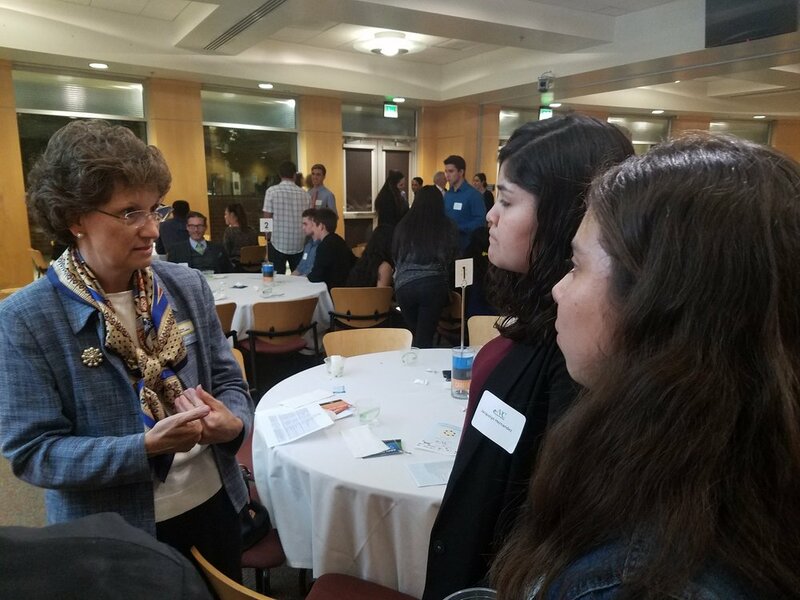 As President of the Workforce Education Coalition (“WEC”), I get to see the excitement in students’ eyes as they explore career alternatives with employers who are eager to hire the next generation of workers. As the only business facing workforce development non-profit organization in Ventura County, the WEC is in a unique position to bring the reality of workplace needs and opportunities into the classroom. By introducing middle school, high school and college students to business partners, we at the WEC get to enjoy the awakening of students’ understanding of what it means to find and keep a job. I have watched middle school girls tour manufacturing plants and realize, for the first time, that manufacturing products surround them everywhere. They start to see STEM through a new lense and begin to discern their place in STEM careers. Teachers participating in the WEC’s summer STEM-Ersion programs have said, “I am beyond excited about this stuff…I can share so much with my students!” It’s wonderful to be part of these moments. And then, there are the really bright low income kids who struggle in school because they don’t have access to technology. Through your generosity, I have been able to present these students with laptops as a part of the WEC’s Digital Equity Scholarship program. I get to see the delight in their faces as they recognize that the academic playing field is finally level. The WEC’s Guild X Movement started as a dream that the WEC could build a bridge between industry and education. I enjoyed working to make that dream a reality by earning the trust of the business community, the Ventura County Office of Education and the Ventura County Community College District. Together, we have begun to create a regional culture where industry and education join efforts to create the workforce that Ventura County needs. The WEC’s growth from a small non-profit that supported student tours in east Ventura County, to a county-wide organization that routinely brings together industry and the county’s education policymakers, has been a dynamic, rewarding and challenging personal journey for me.